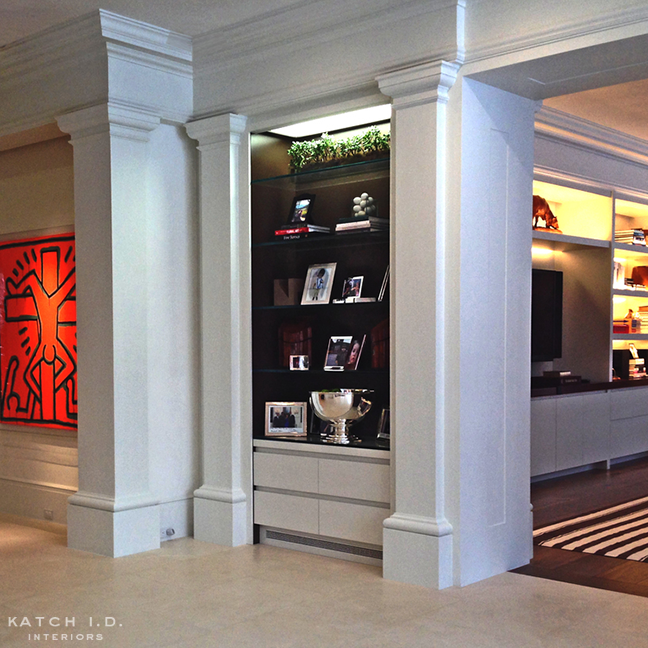 Greenwich Home — KATCH I.D. Our Clients rely on us as trusted advisors as they embark on the very personal process of creating a custom interior. For this Georgian home, Katch I.D. created a white-on-white-on-white decoration scheme and hard finish palette. The clean-lined, modern forms in this bight and airy interior are layered with rich textures and tones to create an atmosphere of extreme comfort and authentic, informal luxury. This project is featured in the March 2015 issue of Architectural Digest, "Tommy Mottola's Georgian-inspired Estate in Greenwich, Connecticut." All designs and images copyright Katch ID, Inc., 2008 - 2017. All rights reserved and legally protected.